Click above on the left image for the business, and on the right image for the personal card, to be taken to the respective application page if you are interested. SPG points are the most versatile hotel points to have--for the moment, putting aside the possibilites of using them for an SPG hotel affilate stay, or converting them instantly at trip the value to Marriott by merging your points, they are SOOOOO useful for converting them to airline miles to achieve your vacation goals--and with 1 SPG point per Canadian dollar spent, it's the best card to use regularly to get the points you'll need to get free stays or airline points to fly for almost free. The Business has a $150 AF, but if you can write it off for tax purposes, or if you find it's not working for you after you have it, after you hit the spending threshold of $1500, and you want to apply for the personal one, they will refund you the AF within 60 days of approval, and after that, refund you on a prorated basis. If you did that, you'd get the 20K SPG pointswelcome bonus at no cost for the business, then get another 20K if approved, after hit THAT spending threshold of $1500. If you have an AMEX credit card (as opposed to a charge card), AMEX has a policy of not allowing a member to have more than 2 credit cards with them (charge cards, there is no limit), so if you have one, and you get the SPG business card, and then realize you want the personal card, they'll make you cancel one (for example, the business one you got), if you want to get approved for the personal one. The AF on the personal SPG is $120 ($30 less than the business card). The advantage to the personal, is if you spend $30K on the card in one year, you get SPG Gold status, which allows FREE UPGRADES at hotels, and as Marriott merged with them, you'll instantly get Marriott Gold, which also allows free upgrades! You book a stay at a Marriott extended stay property, such as a Residence Inn. It's a category 5 hotel. You have a big family, and you wish to get yourself into a 2 bedroom suite. You book a studio or 1 bedroom suite using your points at that hotel. You cannot use your points to get a 2 bedroom suite directly. With Marriott Gold, you can call and speak to the front desk manager, and you may be able to charm them into upgrade you ahead of time. Explain you have a large family and can't comfortably show up at the hotel, hoping they'll be able to upgrade your family of 5 or 6 into a 2 bedroom from a studio at the last minute only to find out they're all booked up. You can go on Trip Advisor and find out about the hotel. Not just find out how it rates, but find out if the front desk manager or general manager has responded to reviewers. Many times, they will give their name, at which point, you have a contact name that you can connect with at the hotel when you call. Be friendly and persuasive, and they may just upgrade you to a 2 bedroom suite at no extra cost, ahead of time! Good luck doing that with a Florida or California property--much harder to do for free, and ahead of time. 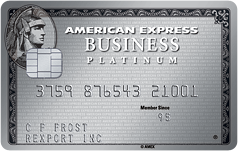 The AMEX Business Platinum card, which, if you have some very small business on the side, let's say you sell items on eBay for friends/family and make a couple bucks off of it, you're technically a self-proprietor, and can apply for the card as such. You may not qualify to write off the annual fee as a business expense, but the 75K AMEX points you'll get, you could choose to use a purchase that you make worth $400 to be paid back to you, to make up for the AF of $399. With this card, you get 1.25 AMEX points, which if you wish to directly switch them to either Avios or Aeroplan, is a better option than the SPG. But of course, you can convert AMEX points, as mentioned above, to SPG at a 50% conversion rate (that's a better rate than even US AMEX cardholders can get!). The AMEX Gold Biz waives the first year AF, only gives 1 point per dollar of spending and still has the same spending threshold of $5K in 3 months. Merging your Marriott and SPG accounts is easy. You can do it directly on the website, though switching your points from SPG to Marriott involves merging your accounts (assuming you already have a Marriott account, SPG account and even a Ritz Carlton account). Once you have at least the SPG and Marriott account, click here for info on how to do it, and then same link, on the same page to convert from Marriott Rewards to SPG or the other way--you can do the same on SPG's account (though it's also hard to find). The merged SPG Marriott chain will be called Marriott Hotels in the future with 1 point system, as of 2018. Take advantage of an excellent vacation value. Exchange your points for a week of hotel accommodations with airline miles included. Refer to tables below for point requirements. 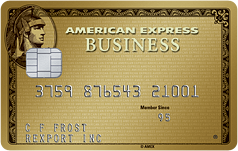 AMEX= American Express Membership Rewards Points, which can be converted to other programs easily. SPG=Starwood Preferred Guests, now, its hotels are part of the Marriott chain of hotels. Marriott=Marriott points, which can be earned through numerous ways now. SWA=Southwest Airlines, a US based airline that flies out of Buffalo, gives free snacks, 2 checked bags per person for free, and amazing cancellation policies, beyond any other airline. United= United Airlines points, a US based airline that charges no fuel surcharges on overseas airlines, including when flying with a fellow Star Alliance carrier, such as Air Canada. For example, flying Air Canada from Toronto to Tel-Aviv with United miles, means saving about $700 in fuel surcharges. JetBlue= JetBlue Airlines, a US based airline, that has cheap flights out of Buffalo Airport, and goes to many locations that Southwest does not (though JetBlue doesn't fly south of Nashville--SWA "owns" them in that regard). 180K AMEX = 180K Aeroplan > 180K AMEX = 90K SPG = 110K Aeroplan or 120K Aeroplan + 7 Nights unless you really want the 1 week stay, in which case its worth it. Explanation later. Some of these airlines, including South African Airways and Turkish Airlines, charge no fuel surcharge for international flights. Click here for more info on the Marriott & Miles deals. While the Marriott takeover of SPG is yet incomplete, and AMEX continues to offer the SPG AMEX card, giving you 1 SPG point per dollar, you're obviously way better off with this card than the Chase Canada Marriott Visa card for everyday spending. Of course, it doesn't help that AMEX is NOT accepted at a lot of everyday spending type of places, but even for the welcome bonus, the AMEX SPG card is the best card to have for spending. So what cards must you apply for if you can handle credit cards?